IN 1997, the Library of Virginia established its annual Literary Awards program to honor Virginia writers and celebrate their contributions to the literary landscape of our state and nation. Given to Virginia authors in the categories of fiction and poetry—and to nonfiction authors for works about a Virginia subject as well—the awards are presented at an annual gala celebration that has become the Library’s signature event and an eagerly anticipated cultural tradition in Richmond. While the main award recipients are selected by independent panels of judges, the Library also invites book lovers and readers to vote for their favorite works for the People’s Choice Awards for Fiction and Nonfiction. In the past, the Library has also bestowed a Literary Lifetime Achievement Award to recognize the enduring influence of an outstanding Virginia writer, with past winners including Earl Hamner, Lee Smith, Jan Karon, Tom Robbins, Charles Wright, Barbara Kingsolver, Rita Dove, John Grisham, Tom Wolfe, and David Baldacci. The Library also partners each year with the Virginia Museum of Fine Arts to present the Art in Literature: The Mary Lynn Kotz Award for an outstanding literary work with art or works of art as its primary subject. Learn more here. Nominations are now closed for the 2019 Literary Awards; finalists will be announced by August 1. Online voting for the 2019 People’s Choice Awards will begin in mid-May and will continue through July 15. Please check back here for the list of finalists and for the link to online voting. 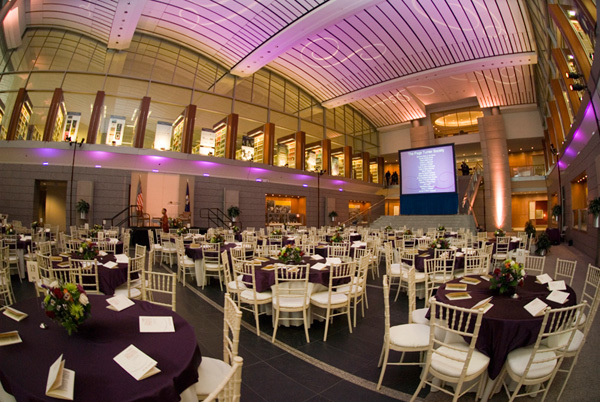 The 22nd Annual Library of Virginia Literary Awards Celebration will take place on Saturday evening, October 19, 2019. Sponsorship and ticket information for the awards gala will be available later this spring. We are now accepting nomination submissions for the 2020 Literary Awards (books published in 2019). Nominations may be submitted by completing the online form.